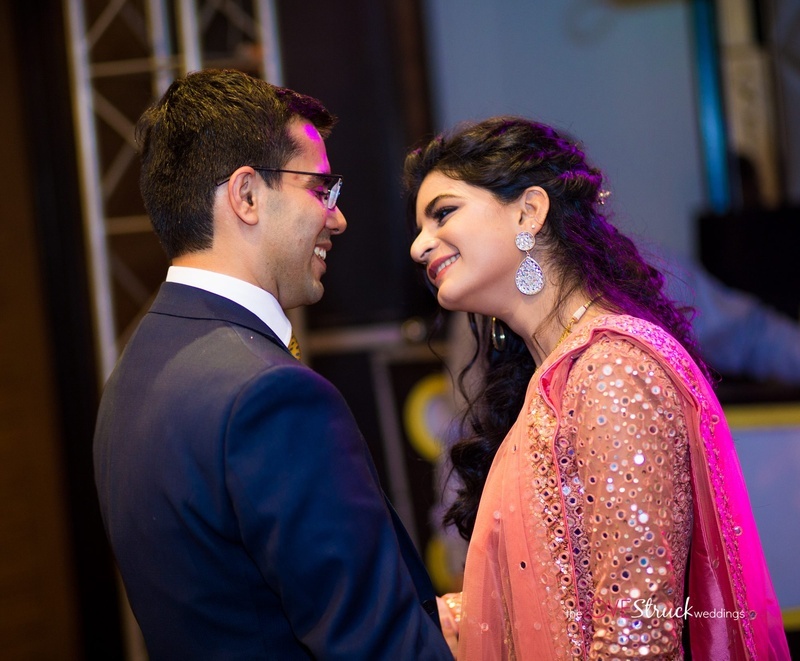 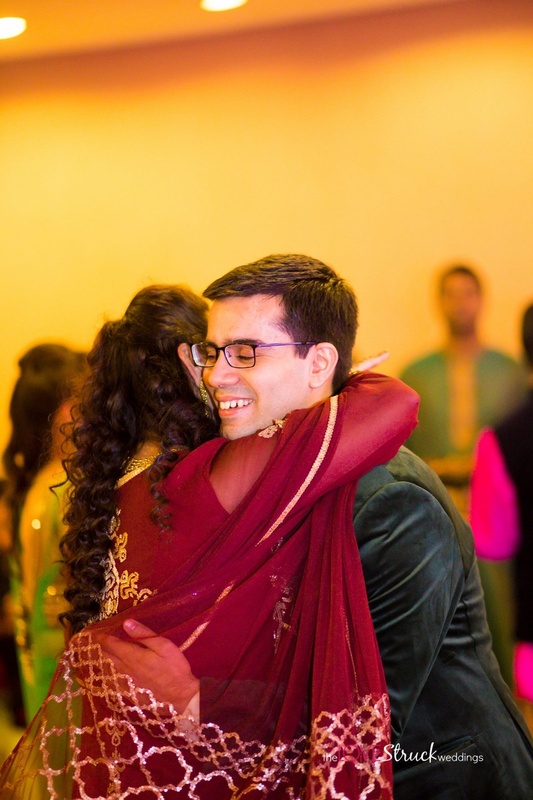 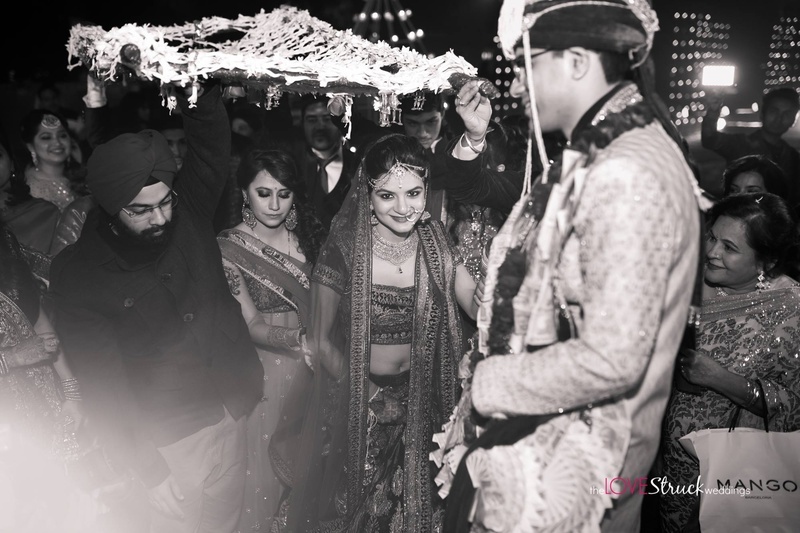 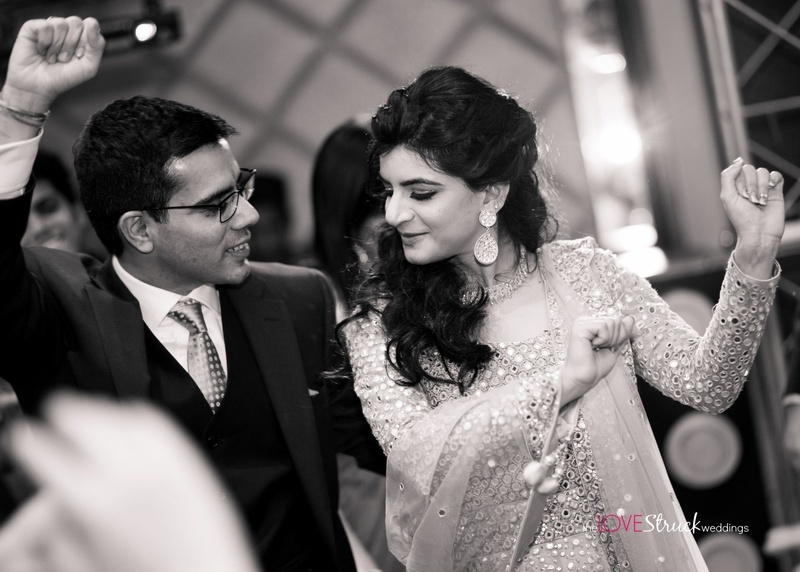 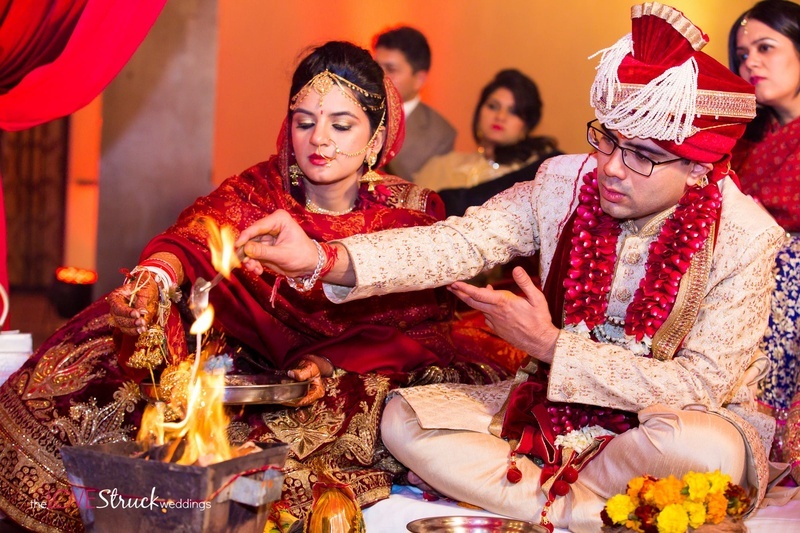 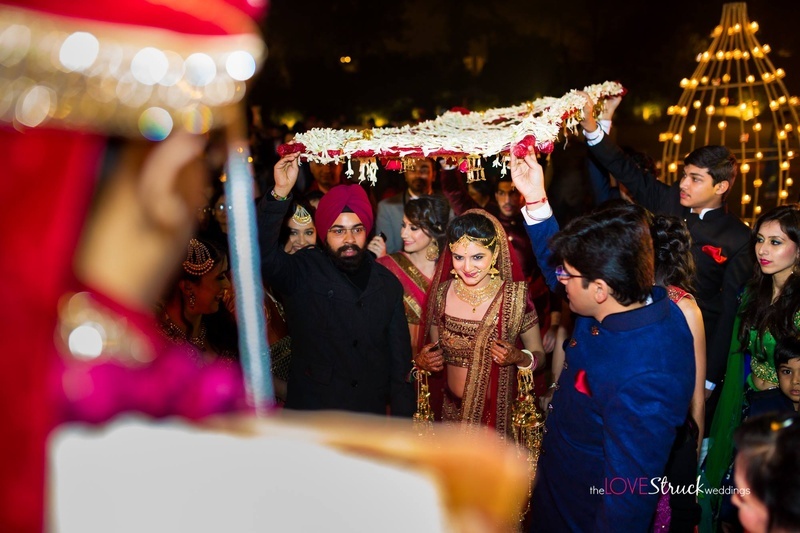 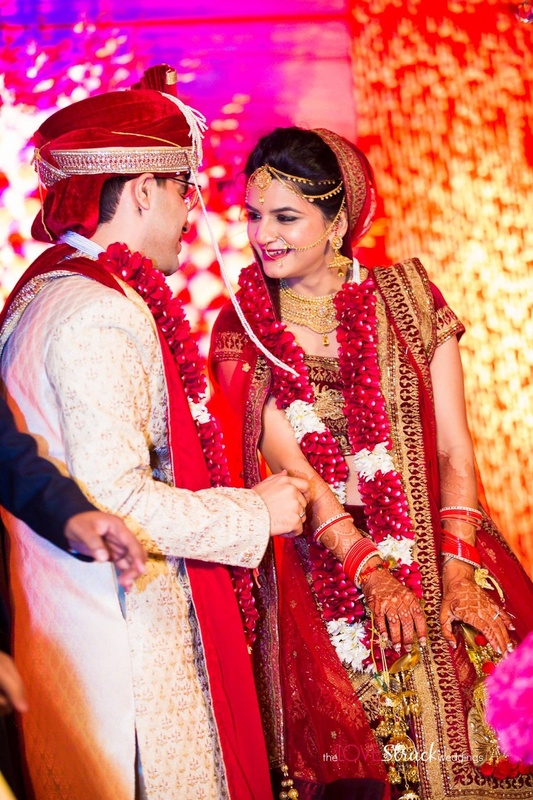 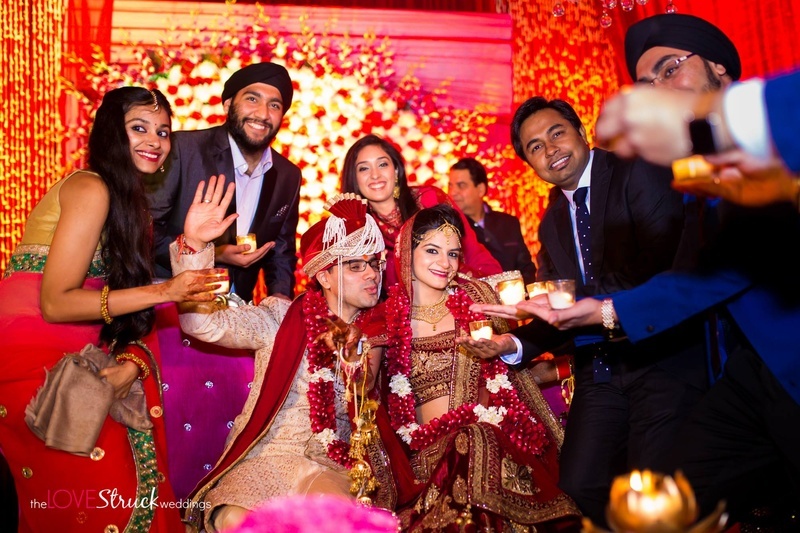 Dropped fresh in our inboxes was Shreya and Nitin’s stunning Delhi wedding held at Satvik by Chhabra Farms, Gurgaon. 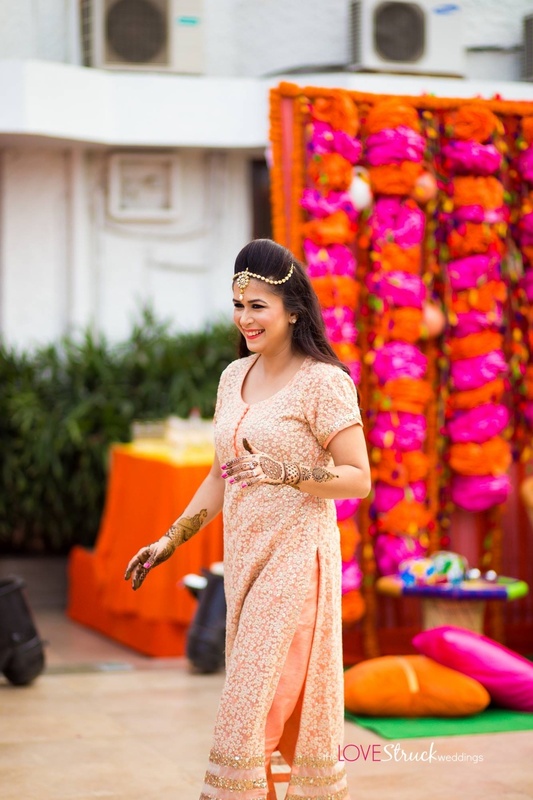 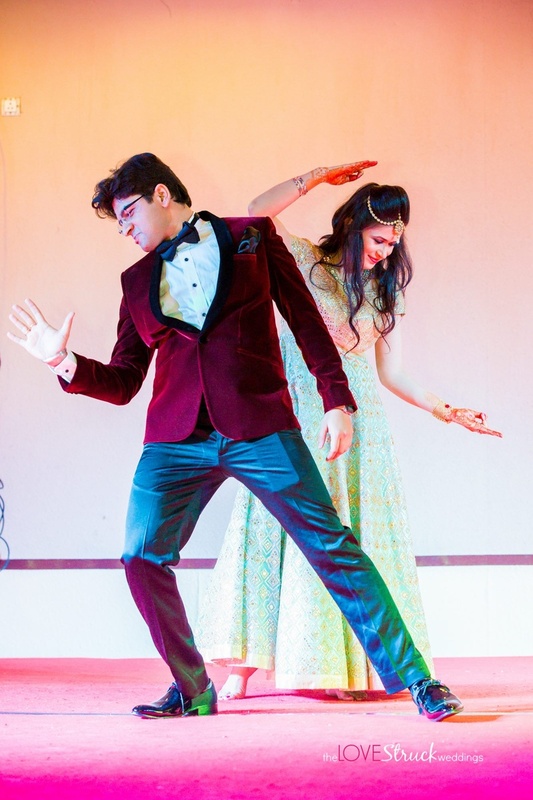 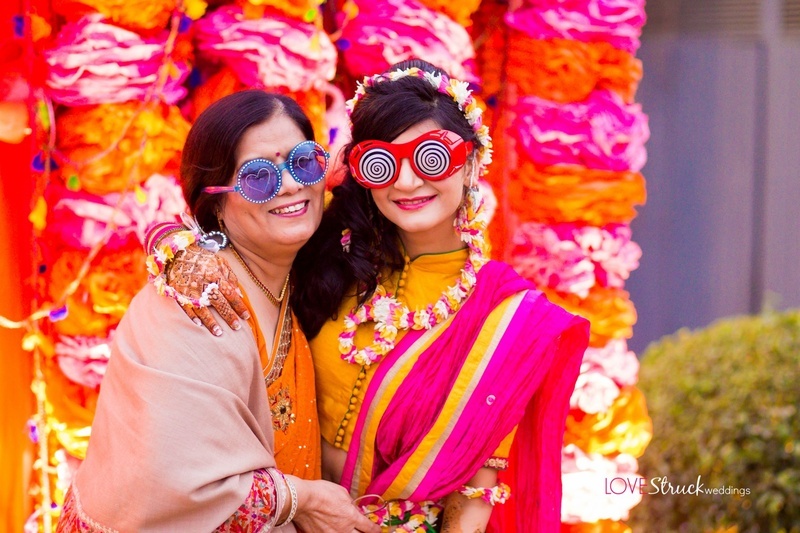 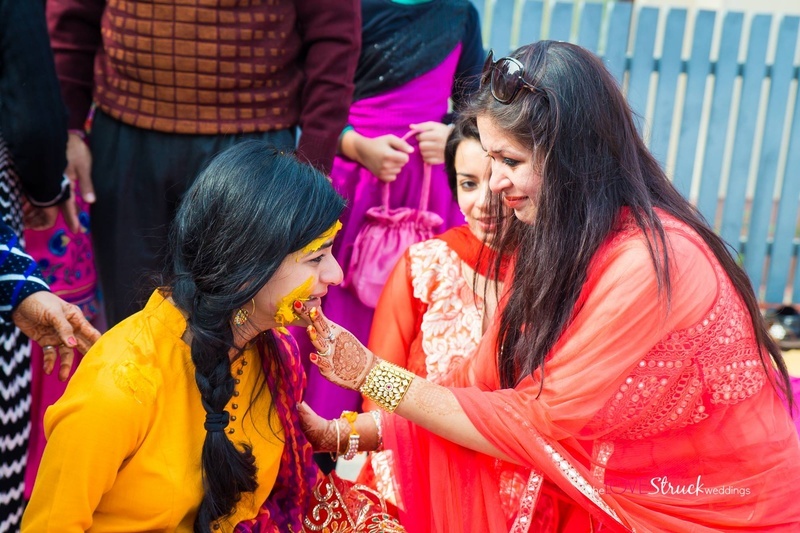 So much color and love flying around this 3 day pretty-pretty wedding affair, it was nothing less than a vibrant Bollywood floral themed wedding. 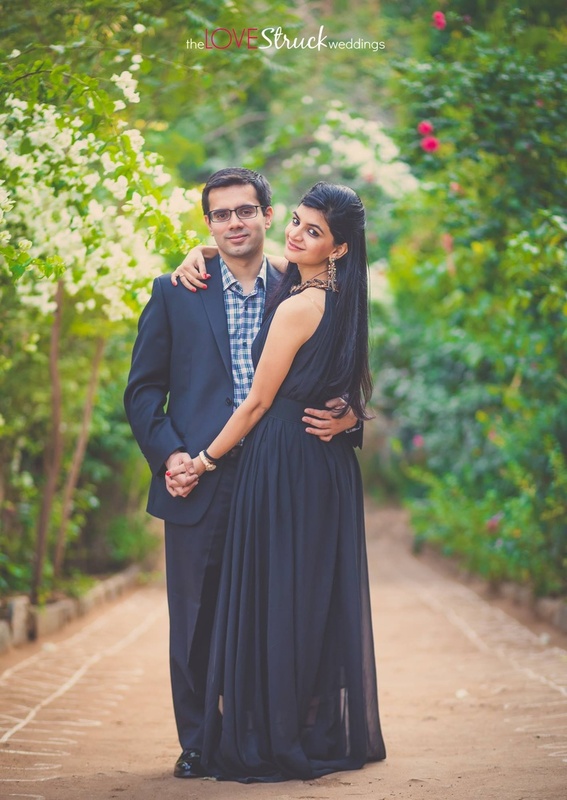 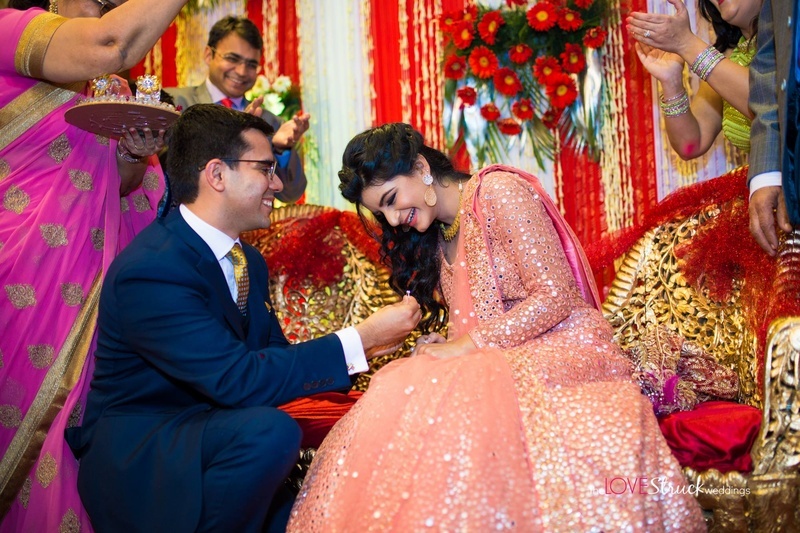 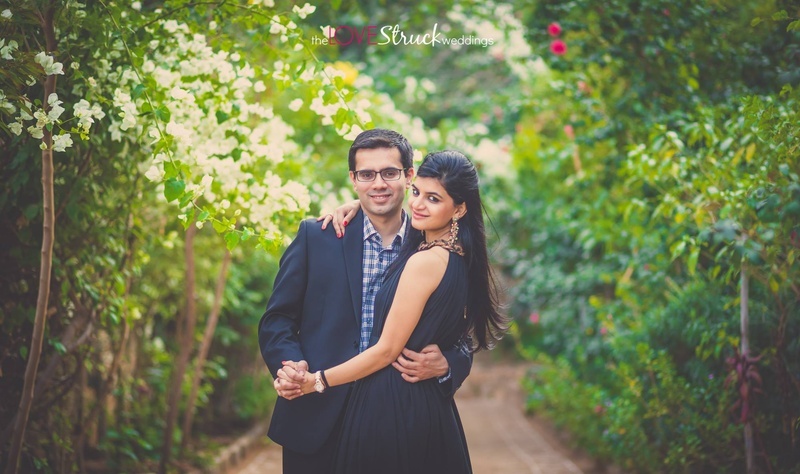 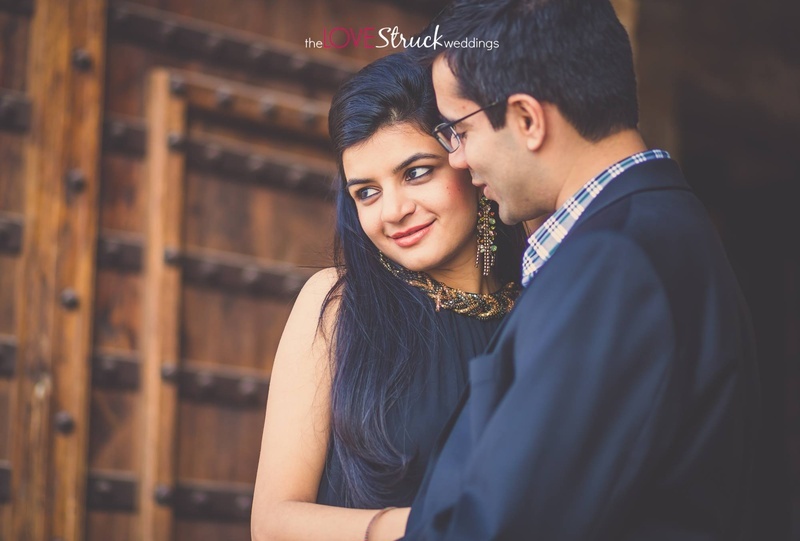 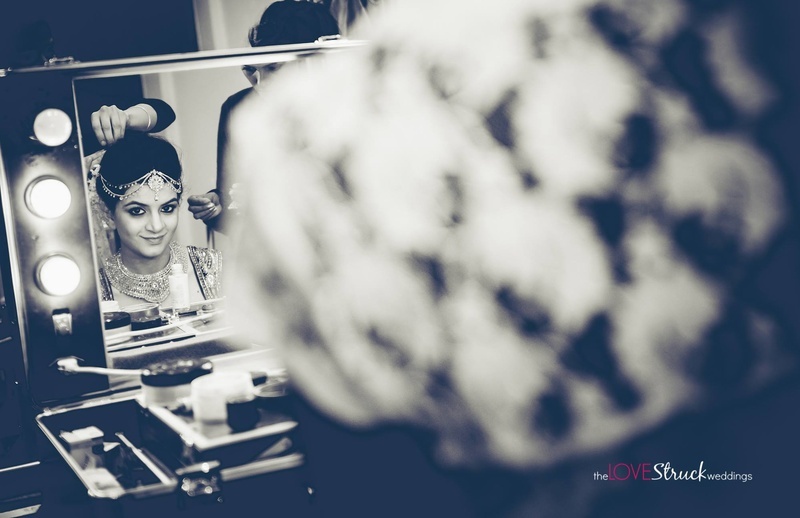 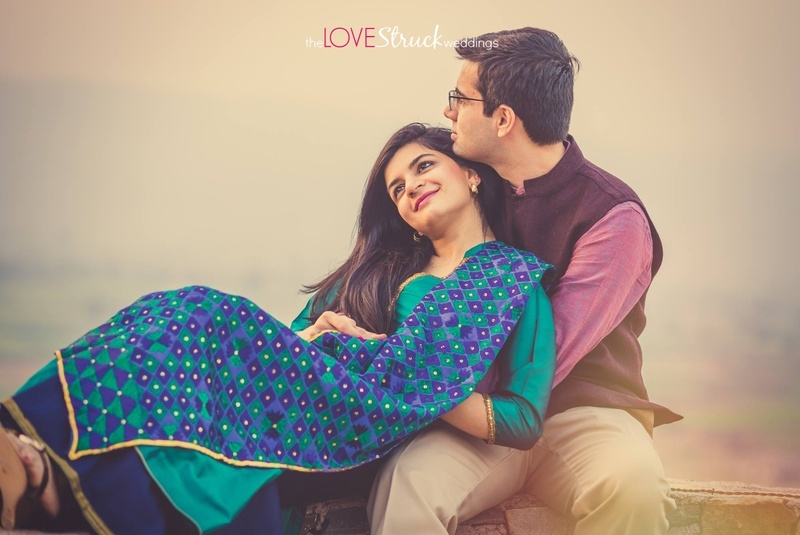 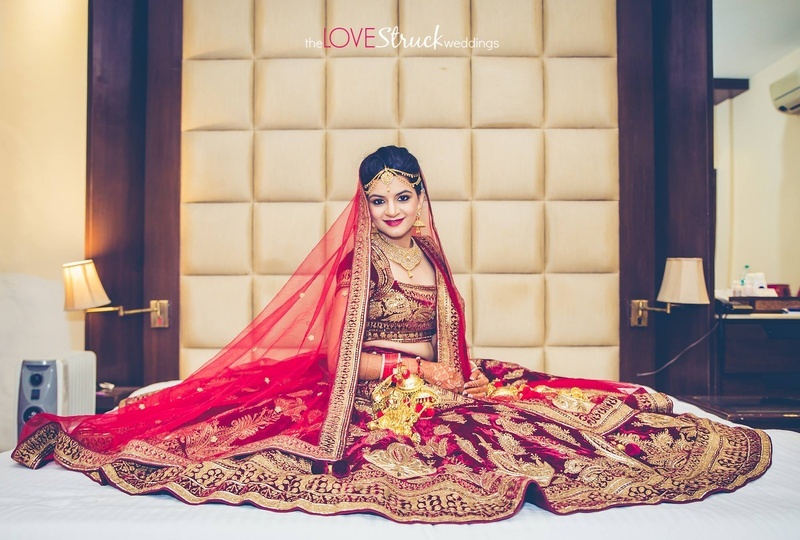 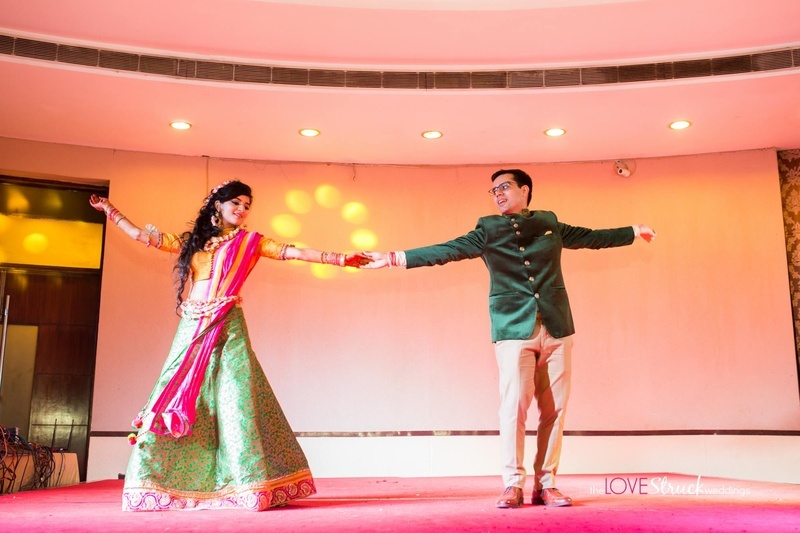 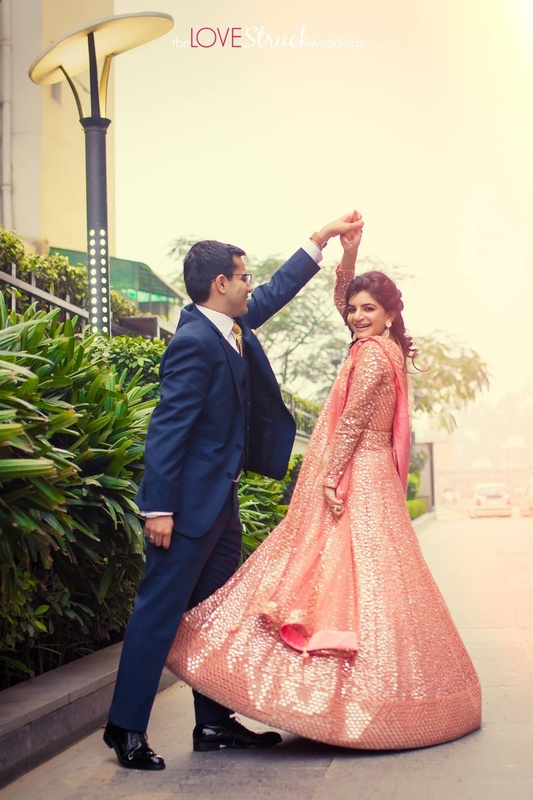 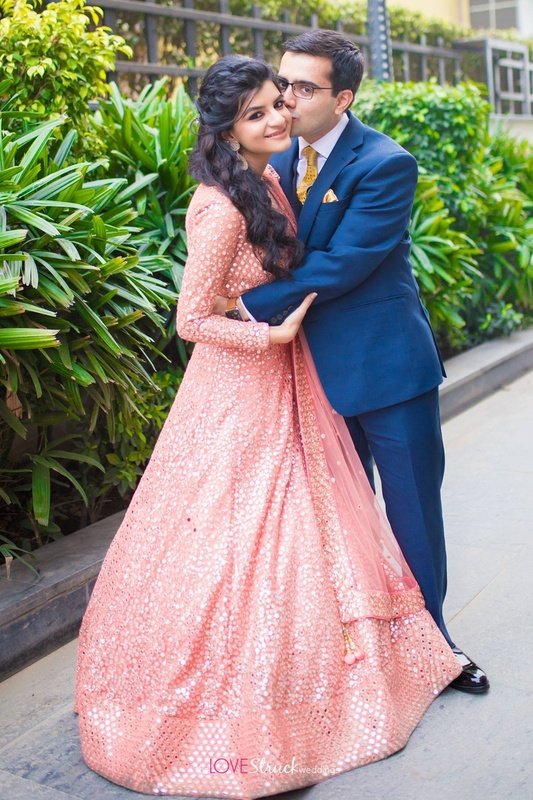 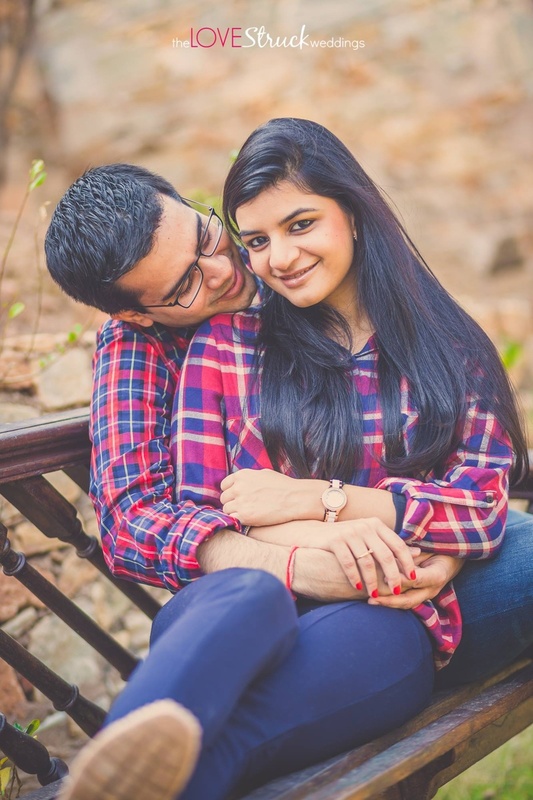 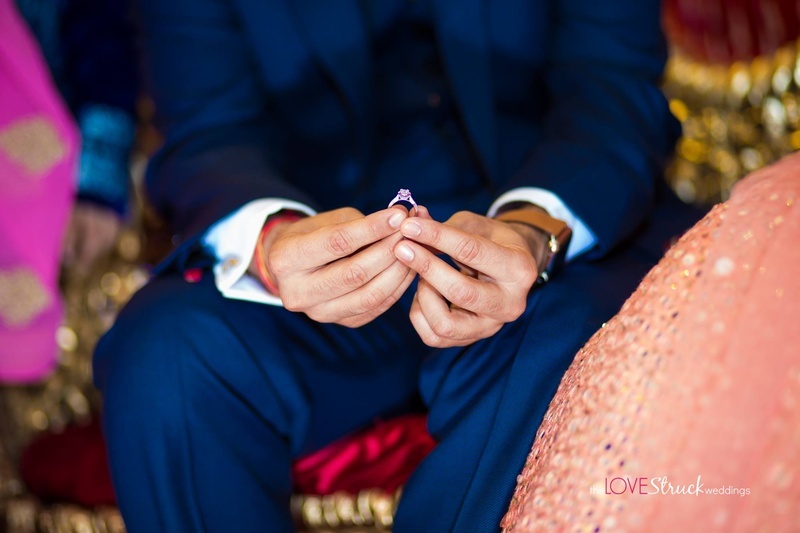 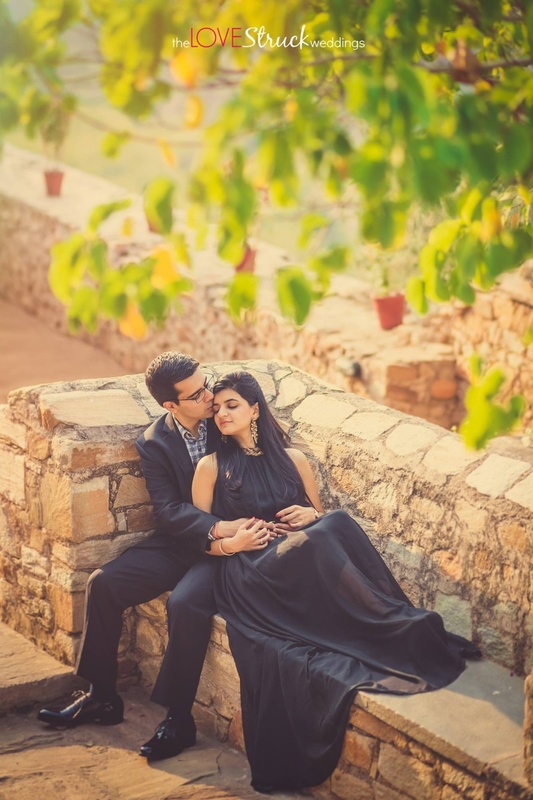 Shot brilliantly by The Love Struck Weddings who captured Shreya and Nitin's love in all its mushiness. 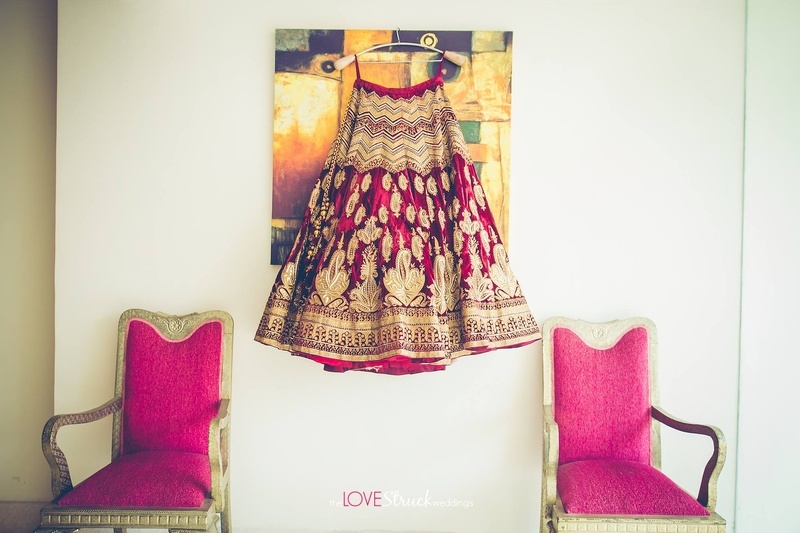 An all-mirror work peach anarkali and a stunning brocade lehenga for the mehndi! 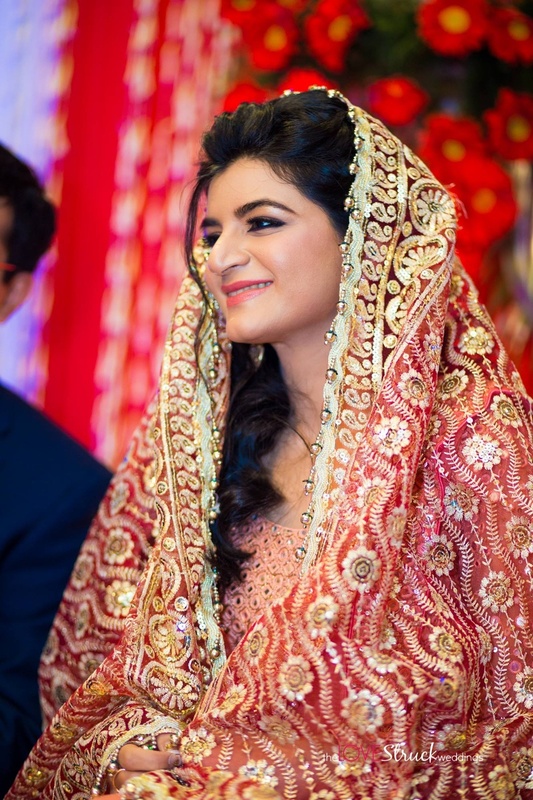 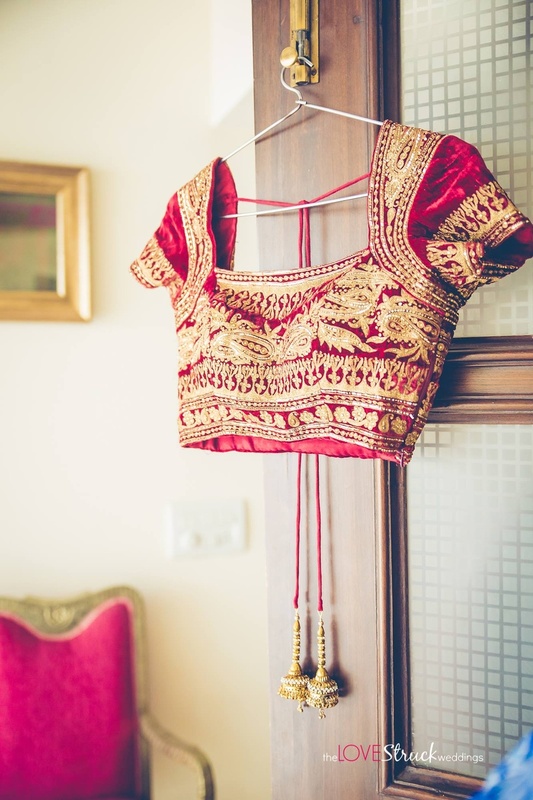 This bride crossed all the boxes on the gorgeous bridal wear checklist. 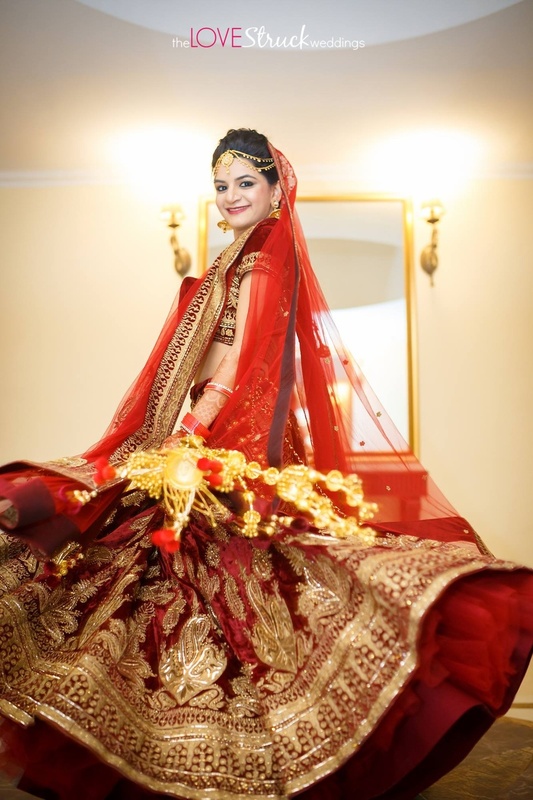 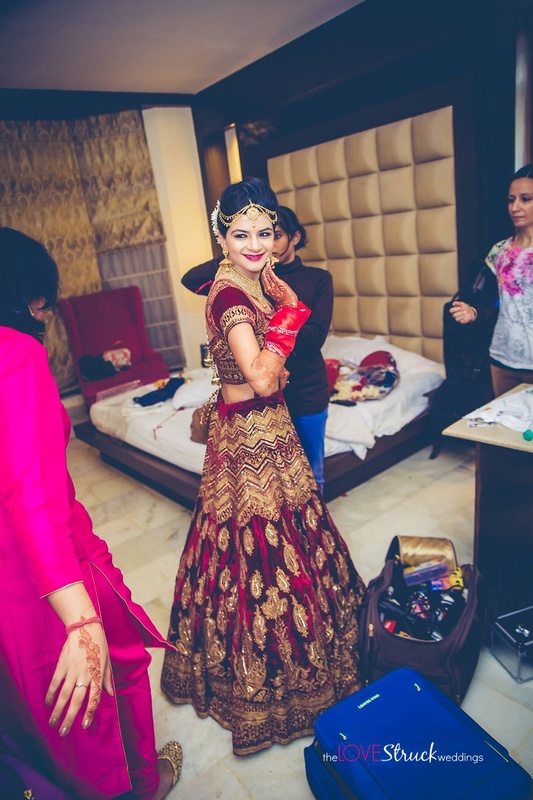 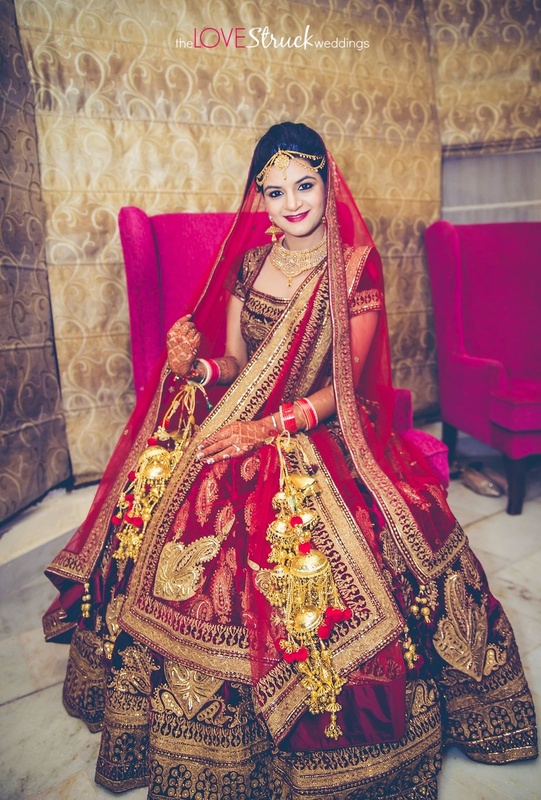 Velvet, gold threadwork and a beautiful flare – Her wedding lehenga too, bought from Om Prakash, Chandni Chowk was all kinds of regal. 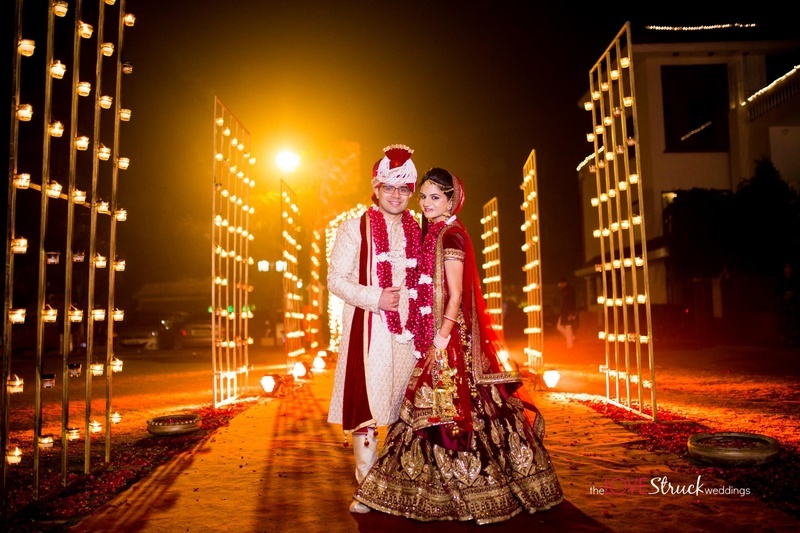 Nitin too looked dapper in his gold tinged sherwani from Manyavar, complementing his bride, Shreyaperfectly. 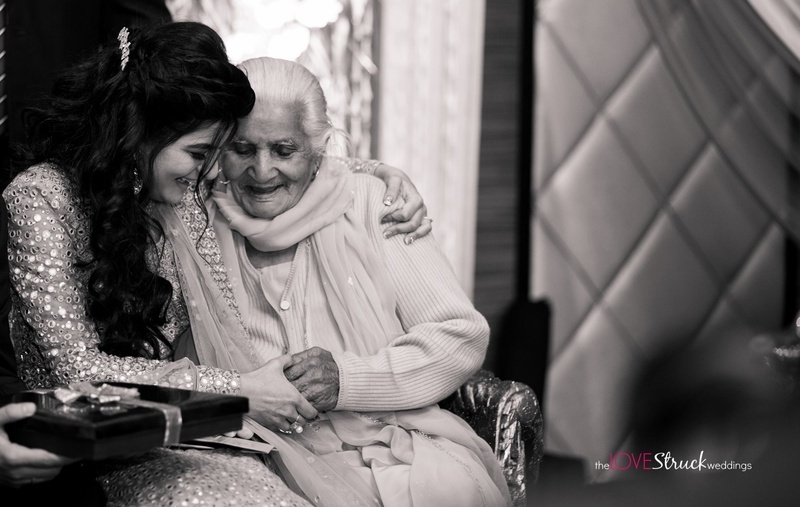 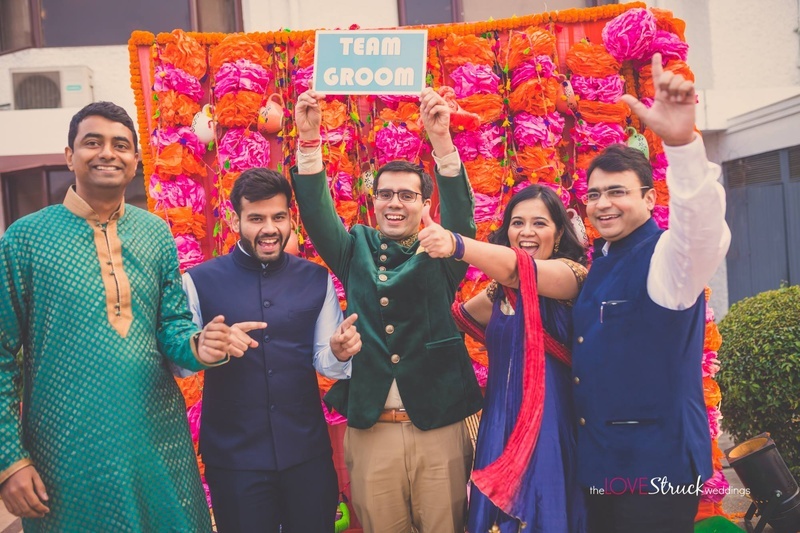 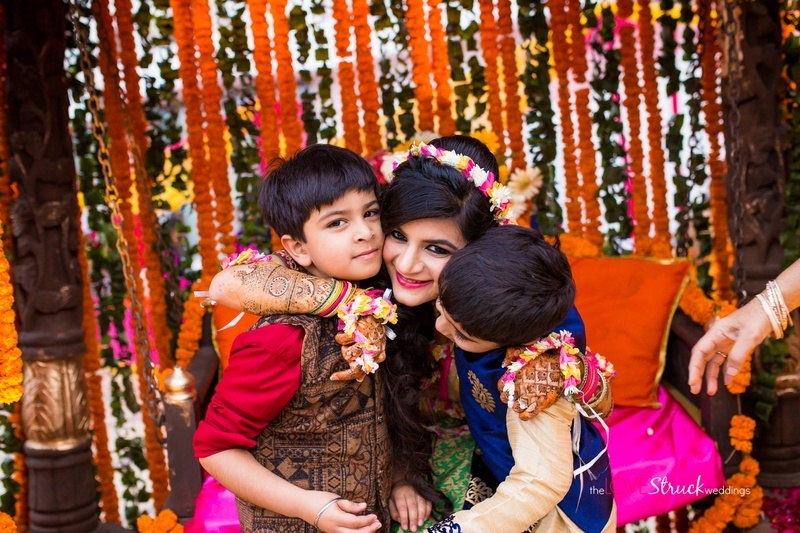 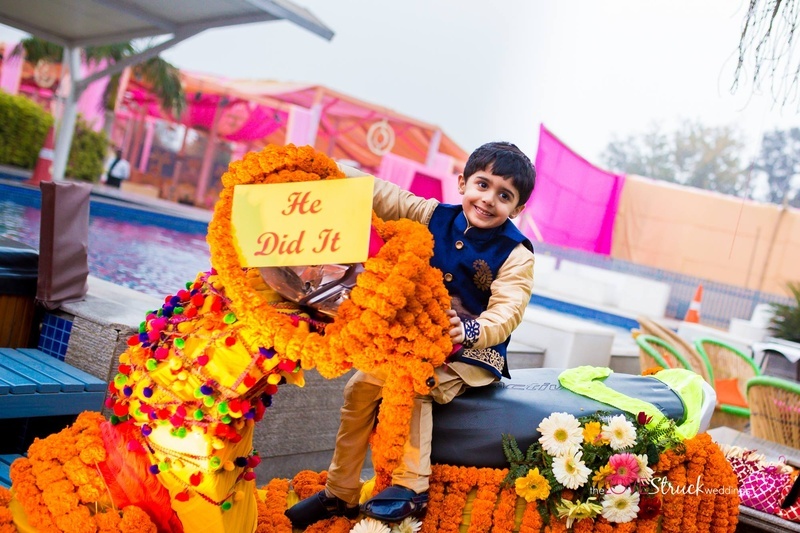 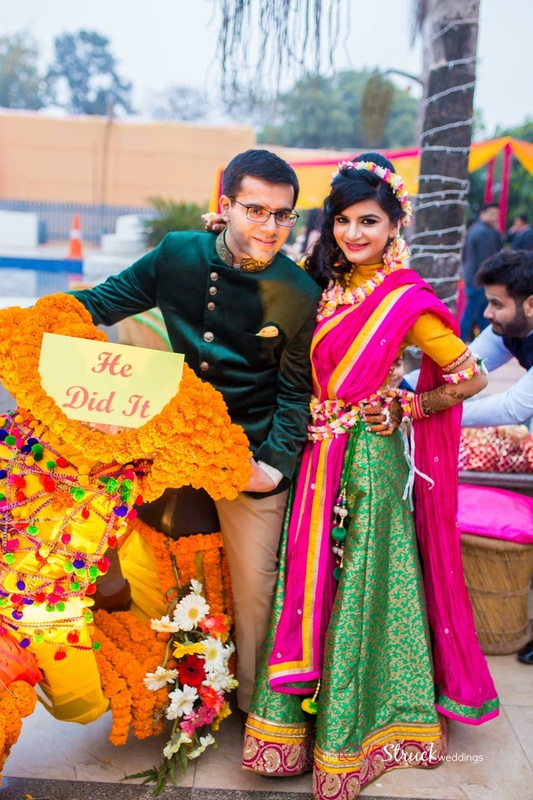 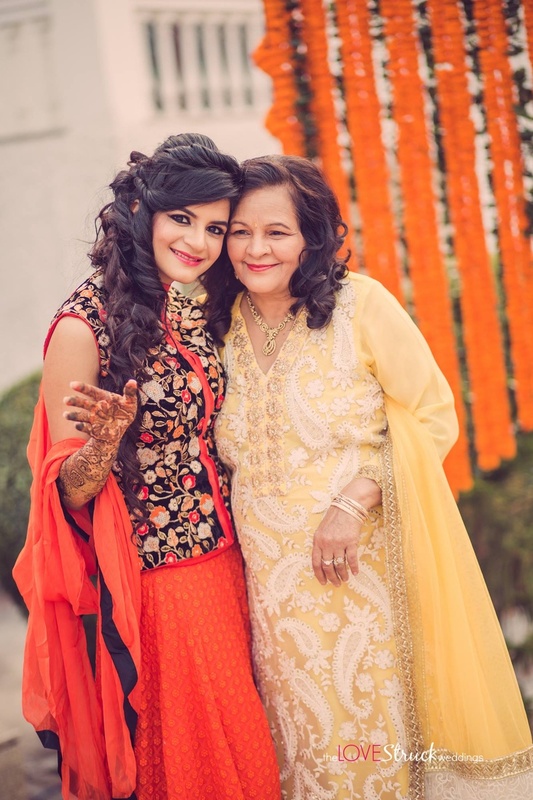 What not to miss as you scroll through this beautiful Delhi wedding – the vibrant floral photobooth at the Mehndi ceremony, the emotional chuda ceremony (we had tears in our eyes too!) 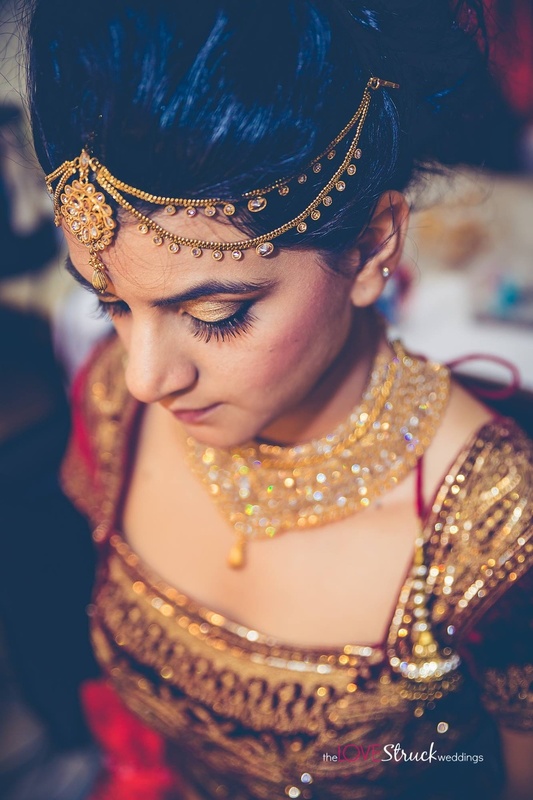 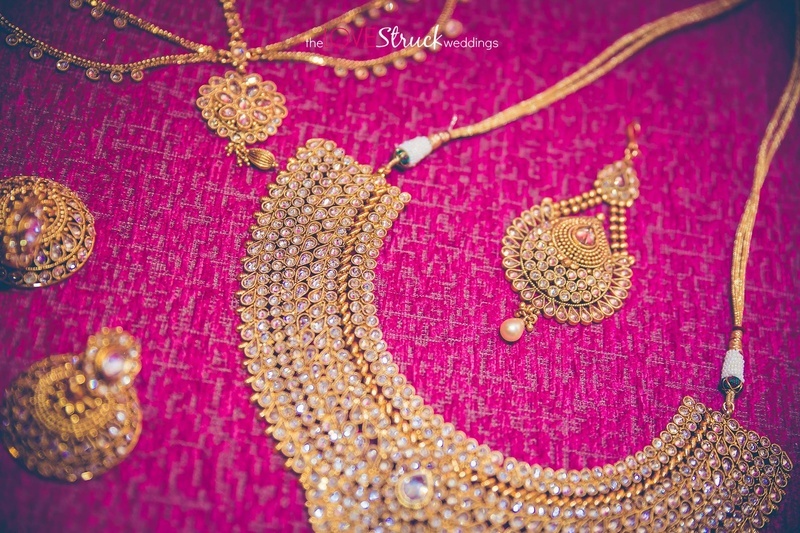 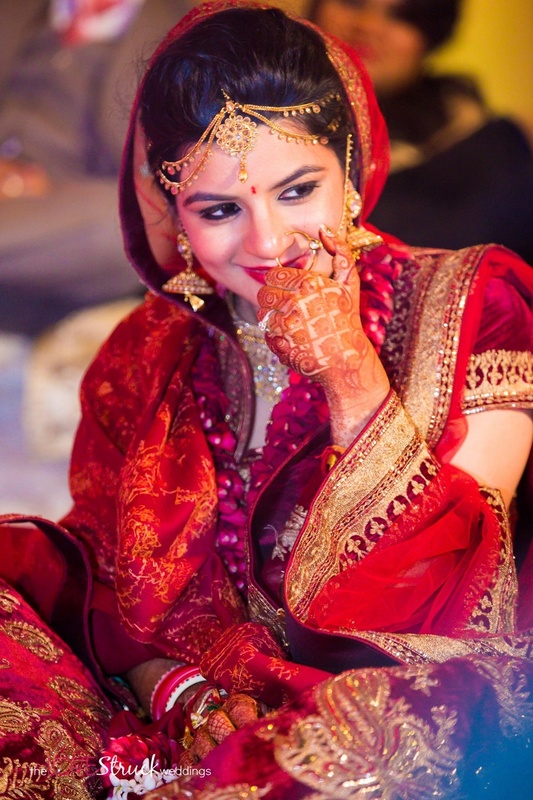 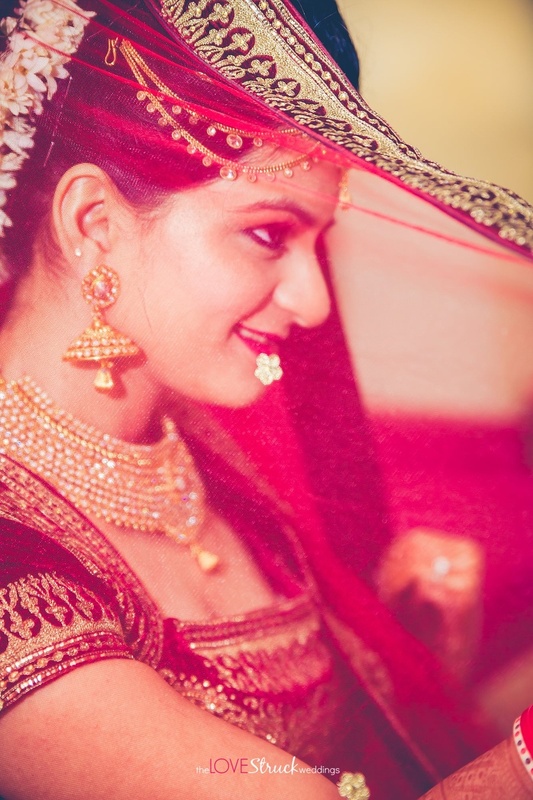 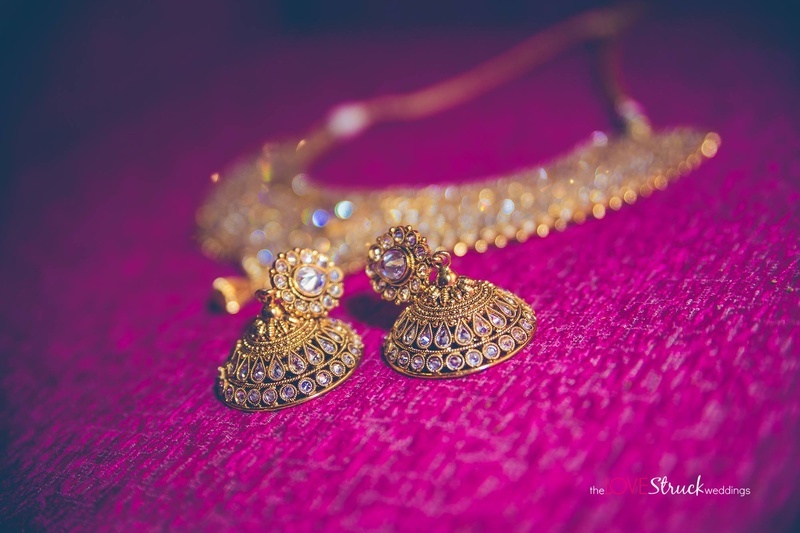 and the bride’s elegant jadau wedding jewelry from Tanishq and KC Jewellers. 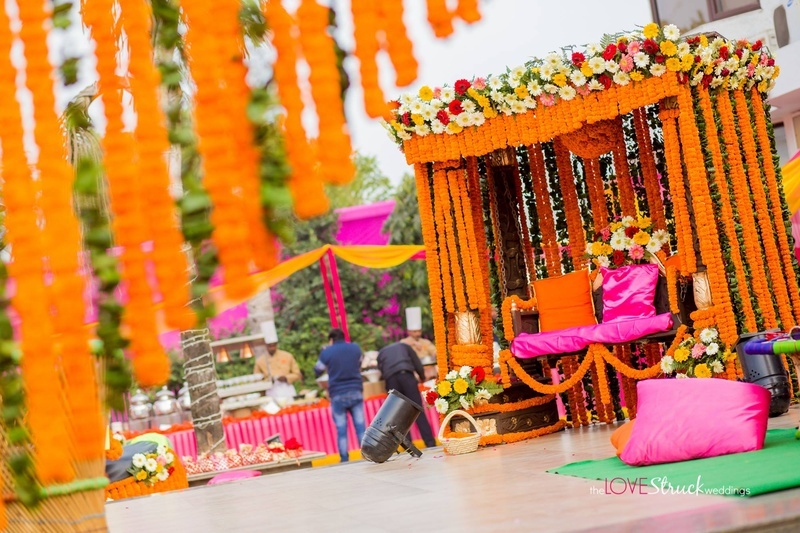 Venue - Satvik by Chhabra Farms, Gurgaon. 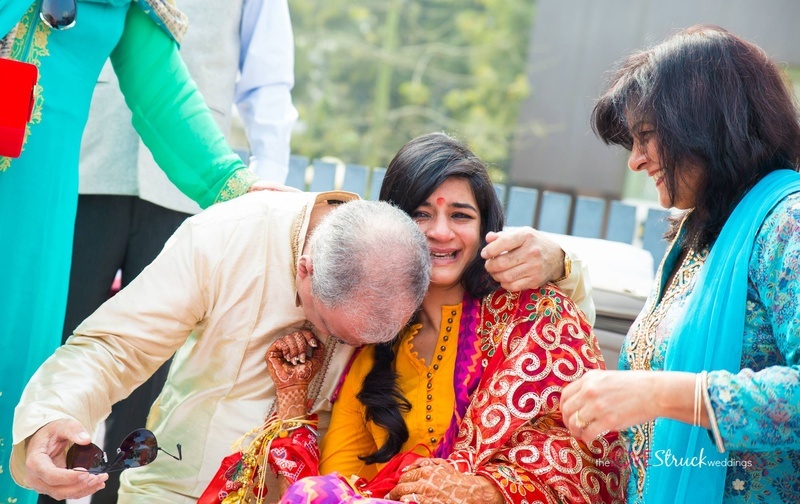 Tear of anxiousness and love!